Ah! 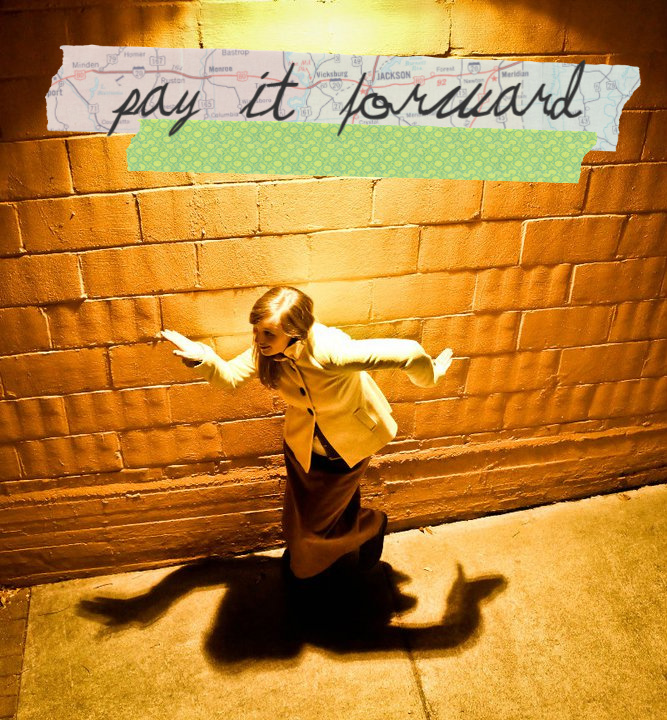 I'm SO excited to announce that I'm taking part in this year's Pay It Forward craft movement! Remember me mentioning Amy? Well she's doing it and I signed up for hers and am following by the rules and posting it on my blog and inviting you to sign up from me! Here is the deal: I'm accepting the first 5 commenters! If you are one of the first 5 you can expect a handmade lovely from me with in the next 3 months! Be sure to leave a way to contact you in your comment and I'll send you an email to get your information! If you're international - DO NOT HESITATE to enter! I WILL ship internationally too! Woohoo! I'm SO excited, I can't wait to see who the first 5 are! And remember, even if you're not among my 5 this time (I may to this again in the winter) you can pass it on by putting this on your blog. We're working together to spread the love and make fun connections! Good luck! and i really love your blog. and i got my fiance hooked on it too! aw, this is so lovely! i'm not sure that very many people read my blog, but i'll make a post about it, nonetheless! :] my email is jamie.lynne.m at gmail dot com. so excited! I noticed there were only 4 commenters! Am I too late? LOVE this idea!